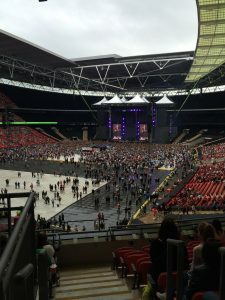 C2C Training Limited are specialists in the training of Crowd Management, with Spectator Safety provision previously being delivered at Wembley Stadium, Murrayfield, Hampden Park, Premier League and Football League stadiums, concert venues, racecourses and shopping complexes throughout the UK. Using industry experts, C2C Training Limited deliver training and assessment in Spectator Safety to ensure that all stewards, supervisors and safety officers can competently prepare, monitor and control spectator events. The training uses various methods, and includes classroom training, one to one discussions and also live observations of the learner working the event. You must also be available for observation, within that role, on at least two separate occasions.